SECMAIR-BREINING is designing and manufacturing road maintenance equipments. Secmair is recognized as the expert for preventive and curative maintenance of the existing road networks. SECMAIR-BREINING is a key player in Chipsealing equipments (binder, sprayers, chipspreaders) and the world leader for Combi-unit (Sprayer-spreader on the same truck). SECMAIR-BREINING is a specialist for crack sealer and slurry machines as well. Since the Chipsealer was invented by SECMAIR in 1982, its use has considerably evolved. Indeed, from at first being designed for patch repair, it has become an essential equipment for many other activities. Consequently, Chipsealer specifications must be carefully defined depending on the type of work to be carried out. Whatever the type of work, it is imperative to have precise dosage. All SECMAIR line Chipsealers guarantee binder and chip spreading identical to traditional machinery (Sprayer + Spreader).and the slope of the road. The Slurry Micro Surfacing machines are a modern solution to road maintenance. They use less materials and energy (thin layer applied without the components being heated - emulsion and aggregate). They meet operator safety requirements (no harmful fumes) and user safety (excellent adherence). 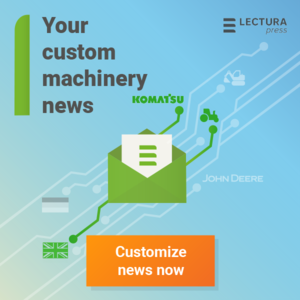 User requirements have led BREINING to develop a brand new line of machines adapted to all applications, whatever the country and type of works. A single machine suitable for all types of roadworks!! This slogan is often little more than a dream for operators. BREINING has imagined a continuous machine supply tool that is adapted to high productivity works. This supply machine is easy to couple and uncouple to a traditional machine to adapt to the type of works. For roadworks that require high output, the supplier makes it possible to limit transfers to the aggregate stock and to reduce the number of longitudinal joints. The traditional discontinuous loading machine however remains the best alternative for urban roadworks especially, where manoeuvrability is the priority. This supply machine is of course designed to be adapted to the full range of Slurry Pavers and Novasealers, including on existing machines. Moreover, the concept is suitable as well in front of a Chipsealer to make some chipsealing full width with high productivity.